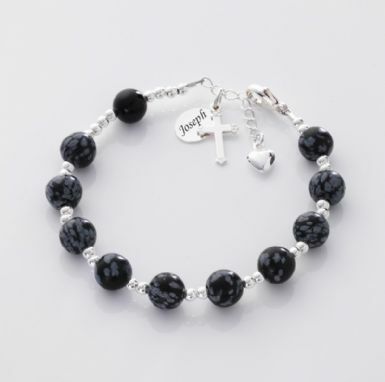 Personalised Rosary Bracelet with Snowflake Obsidian & Black Onyx Beads. Free Silver tag with your choice of Engraving. Made with genuine semi-precious gemstones and .925 Sterling silver parts. This item is made with black obsidian Hail Mary beads with a single black onyx for the 'Our Father' bead. Personalised Rosary Bracelets make beautiful gifts for so many occasions including: First Holy Communion, Confirmation, Baptism or Wedding. Presented in your choice of gift box with a little gift card for you to write your personal message in. 1. 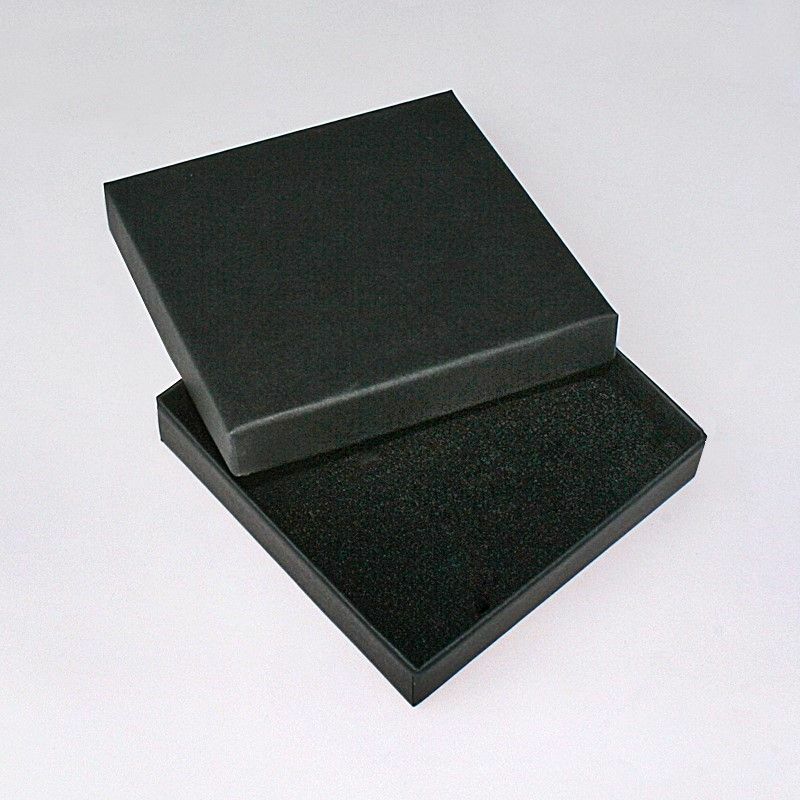 Black gift box - no charge. An extension chain is included in the price to allow adjustment of size and a perfect fit. Our standard bracelet length is 18cms extending to 21cms so one size fits most. But please feel free to request other sizes. Colours: Made in the colours shown. Although this example shows no crystals either side of the "Our Father" Bead, birthstone crystals can also be used here. If you would like to request birthstone crystals please write your choice in the "Special Requests" box.